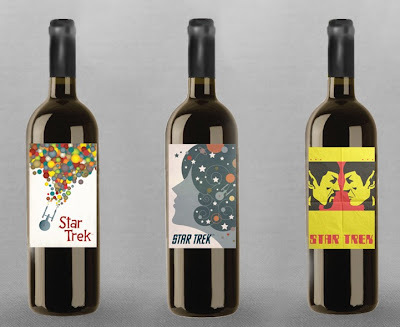 UPDATE: *In fact, it seems these are, at least, the second Star Trek wines; as Star Trek author Allyn Gibson, informed me on Twitter, there was previously a line of Star Trek wine made by Woodbridge, for the no longer existent Star Trek Experience, in Las Vegas. 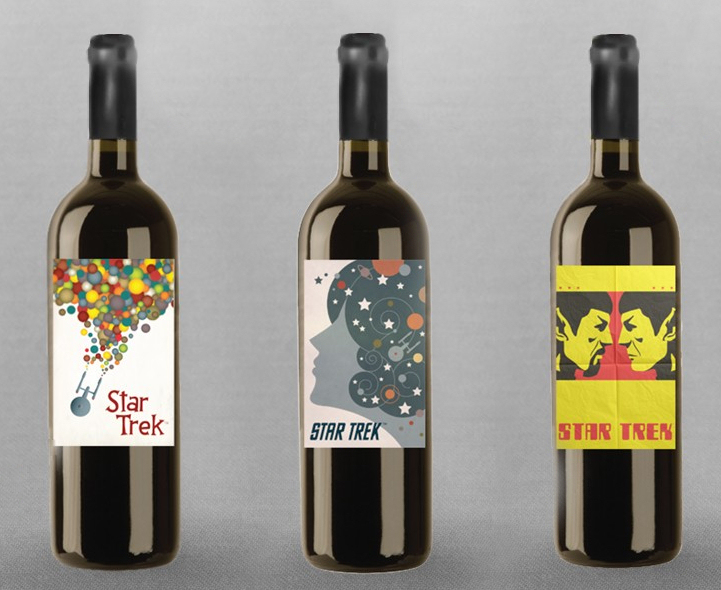 The Deep Space Wine collection (really), included Klingon Bloodwine! Which neatly lets me segue into mentioning that whether you drink Trekified wine, or more terrestrial varieties, you can always make use of the Klingon Bird of Prey cork screw! 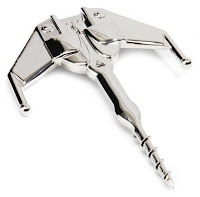 In other Star Trek/wine related curiosities, another of my Twitter correspondents, loghaD, pointed me towards a rather strange video featuring Casey Biggs, aka Damar, talking at length about wine! 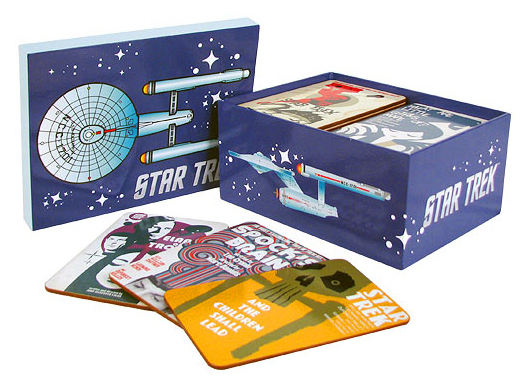 Back in the realm of the retro prints series, given we're at the start of a new month, we should expect to see the latest batch of new designs, coming as posters, glasses, and T-shirts, any day now.